Do you lose the majority of your games due to silly blunders, missed opportunities or tactical oversights? In fact, nine out of ten chess players lose because of a simple “miscalculation”. Everything could’ve been great… but after a single bad move, the game passes the point of no return. A draw is no longer an option and the only possible outcome is a loss. How many times did you kick yourself, and wanted to come back to that “move 17” and just play a different move? What if it’s a decisive game and the outcome will determine whether you become a champion or get that award? Unfortunately, we don’t have the time machine… but we do have something else for you which may even be more effective at avoiding miscalculations. If you want to improve - work on your calculation! If you want to become a “super-calculator” and start finding brilliant winning combinations effortlessly and easily, while enjoying the game and observing your opponent struggle at deciding which losing line to play – THIS COURSE IS FOR YOU! Time to start being in control of your games and а great calculation technique is a KEY to accomplish that... Being few steps ahead of the player in front of you is all it takes! Let your opponent be stressed out, angry and frustrated after you roll out your devastating combination. Leave them puzzled and confused about how you figured that all out over-the-board! 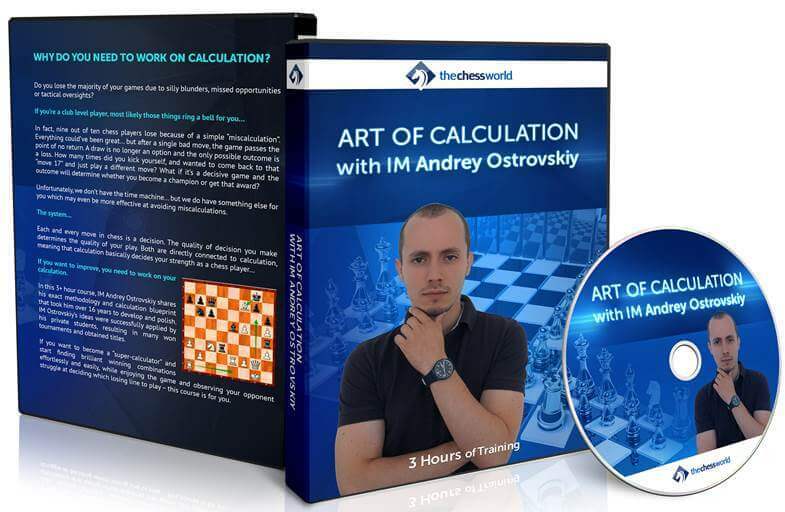 After working through this course, the calculation will become your #1 weapon! 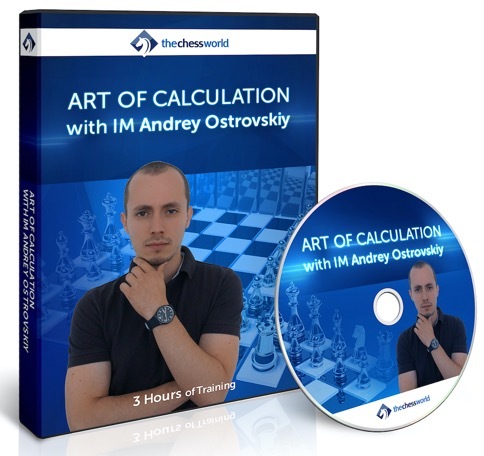 Instant download of the 3+ hours long course with IM Andrey Ostrovskiy sharing the exact methodology and calculation blueprint that took him over 16 years to develop and polish. You will start winning games by calculating smarter and deeper immediately after finishing the course! When and how Grandmasters analyze and evaluate critical positions? Why do we miss the opportunities? Hidden resources: your opponent also wants to win! How to further enhance you calculation? is a professional chess player and coach currently residing in Germany. Andrey got second in Ukrainian Youth Championship and represented his country in the European Championship. He has won many National and International events, and achieved his first Grandmaster norm in 2015.